Afraid That Vaping Won't Produce the Same Strong Effects as Smoking a Joint? If you're a marijuana smoker there's a big chance you'll give up on vaping after trying it for the first few times. Vaping doesn't produce the effects that you expected. This can be physically (the 'throat hit') or mentally (the 'high'). It's absolutely required that your vaporizer is capable of producing strong effects. Every vaporizer creates vapor, but not all vapor is created equal. Getting a weak vaporizer that produces wispy vapor is the ONE thing you must avoid at all costs. There are countless vaporizers on the market, but many of them serve a particular niche. A small vaporizer for example lacks the power of a bigger vaporizer, but is good for discreetness. If you're new to vaping, you NEED a vaporizer that's powerful enough to create hard-hitting clouds of dense vapor. There are only a few portable vaporizers that consistently produce vapor so strong that any smoker will be impressed. And if you're new to vaping these are the ONLY ones I recommend. It's important that you get the exact same vaporizer that I used and still use to this day. But received the most positive feedback of any vaporizer that I've ever recommended. For 2 years now, when people ask me what vaporizer to get, the MIGHTY is always the first one I recommend. It produces extremely potent clouds of vapor with small amounts of herb (with a dosing capsule I need only 0.1 grams for my desired effects). While most portable vaporizers are finicky and unreliable regarding their vapor production, the MIGHTY is super-consistent in its performance. It's the most consistent portable vaporizer that you'll ever use. EVERY vaping session, it delivers potent and well-tasting vapor from start till end. The MIGHTY 'Medic', which is the same vaporizer as the regular MIGHTY except for a slightly different mouthpiece, is officially approved as a medical device by 3 different governments: Canadian, German and Israeli. 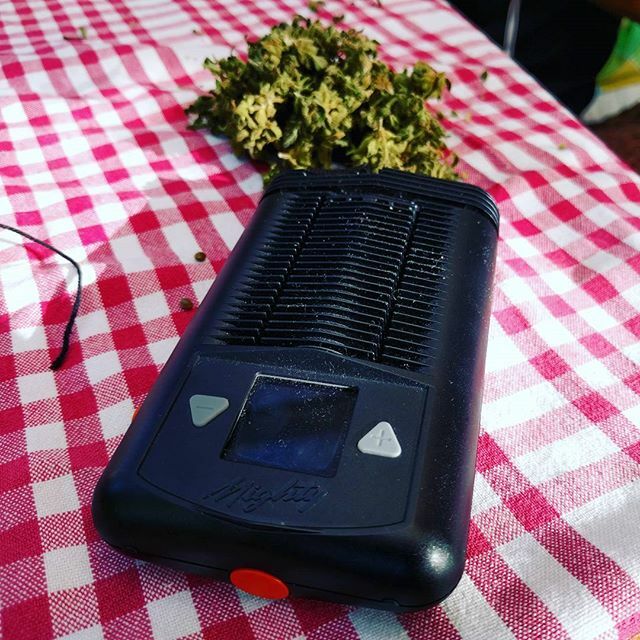 This means the MIGHTY is the safest portable vaporizer you can get. It's the perfect beginner's vape because it has no learning curve (the MIGHTY works really well straight out of the box, turn it on and start vaping). You'll be able to pull vapor out of your MIGHTY without any draw-resistance (a weak point with 90% of portable vaporizers). It's extremely easy to clean and maintain (as long you use a dosing capsule it takes only 1-2 minutes). You get dosing capsules included with your purchase that not only help with vaping small amounts of herb, but reduce your cleaning downtime significantly. You get a very cheap but effective grinder with your MIGHTY purchase. Unless you want to build kief, this grinder works really well and will enable you to grind the perfect grind for your MIGHTY. With a single MIGHTY purchase, you get ALL the gear you need to replicate the exact steps that I took to save $485 on herb expenses in a single year. Personally, I wouldn’t attempt vaping without a proven vaporizer. The first few weeks are so crucial to whether vaping is going to work out for you. It's crucial that you have all the tools that you need to produce the same results that I've got from vaping. Seriously, now is the time to make a change. But also the longer you wait, the more money you're stealing out of your own pocket! The most cost-effective way to use your marijuana (vaping is proven to be 60-80% more efficient than smoking in cannabinoid retention and delivery). More money to spend on other things by saving huge amounts of money on herb expenses (especially in the long run or if you're a heavy user). Your lungs and airways will start cleaning themselves of all the tar and toxins that accumulated over the years. Your breathing function will improve DRASTICALLY. Your throat and airways will slowly clean up from the phlegm and mucus that your body produced as a defense mechanism to all the smoke you’ve inhaled over the years. You’ll get a MASSIVE boost in your overall well-being. Vaping is not healthy, but it is up to 95% less harmful than smoking. Researchers have found that up to 95% of toxins, carcinogens and irritants found in smoke are NOT present in vapor. Although much less than smoking, vaping weed does smell. The benefit of vapor is that it dissipated 10 times faster into the air than smoke. Smoke keeps lingering around for days in your clothes and furniture. The tar, which is a by-product of burnt plant material, sticks on surfaces and fabrics, and if not removed can stay there for years. Is the high from vaping different? The high from vaping can be different than from smoking, because you reduce 95% of toxins found in smoke. You'll get a much cleaner and clearer effect than from smoking. Will vaping really work for me? Vaping works for 90% of people. But if you're looking to re-create the smoking experience with 100% exactness, it's best you give up on that thought right now. Vaping will never be exactly the same as smoking. There are hundreds of toxins, irritants and carcinogens present in marijuana smoke, that have an effect on how a joint/blunt makes you feel (mostly for the worse part). But the absence of them is also the main reason why vaping is always described as a purer/cleaner feeling. Vaping gives you the opportunity to experience the beneficial effects of cannabinoids WITHOUT all the toxins, irritants and carcinogens that are found in marijuana smoke. Is the MIGHTY the only vaporizer that you recommend? 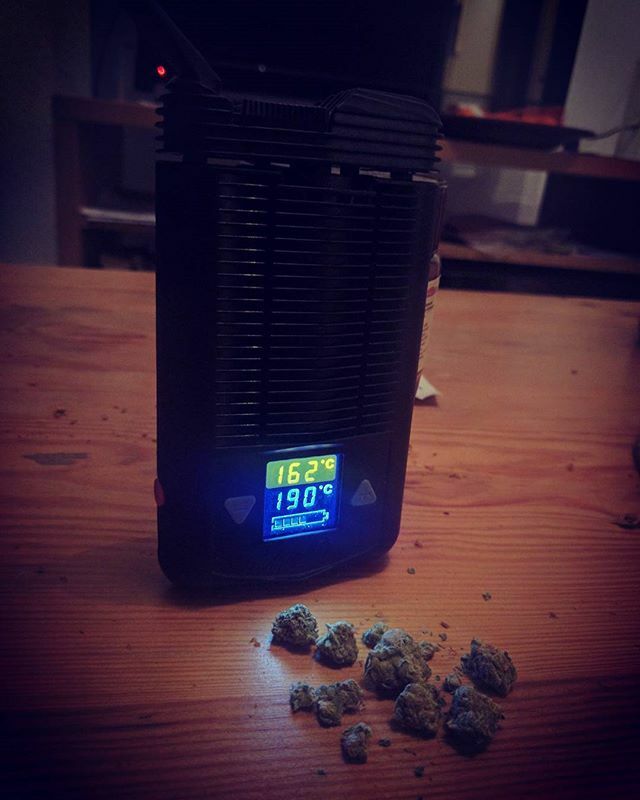 The MIGHTY is my most recommended portable vaporizer. Although it's on the expensive side for a portable vaporizer, realize that you will save huge amounts of money in the long run. But if you really don't have the money right now, I still recommend getting a vaporizer because vaping is ALWAYS better than smoking. A second cheaper option would be the Arizer Solo 2. But if you can, I highly recommend going for the MIGHTY.